When To The Moon released in 2011, the narrative adventure game was beloved by fans for its strong and ethically dubious story. 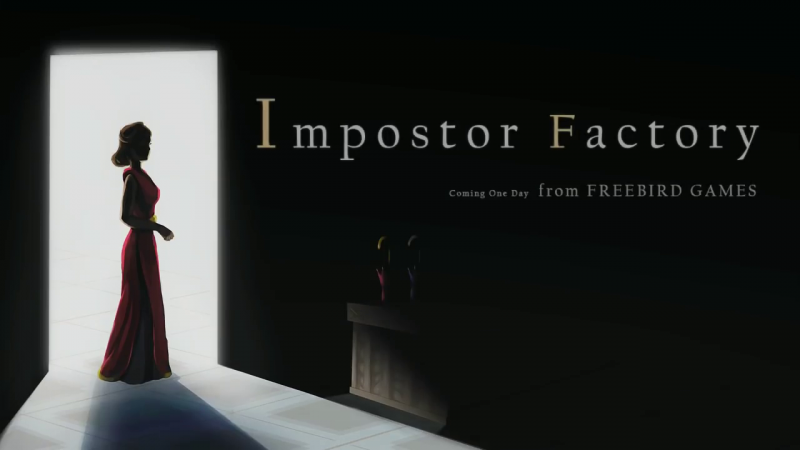 While developer Freebird Games has been hard at work at various things, they have also teased what appears to be a similar narrative follow-up in the form of a murder thriller called Impostor Factory. You can check out the very short teaser, and I emphasize the teaser aspect, below. The developer has described the game as "a time-resetting thriller-mystery that involves a series of bloody murders," which sounds like a fun romp. I notice they did not necessarily say you were solving these murders, just that it involves them. Impostor Factory is expected to drop in 2020, though the platforms have yet to be announced. If it's anything like To The Moon, though, it will likely run on everything.